Has lots of tubes that are no longer in production today so you gotta hope they still work. 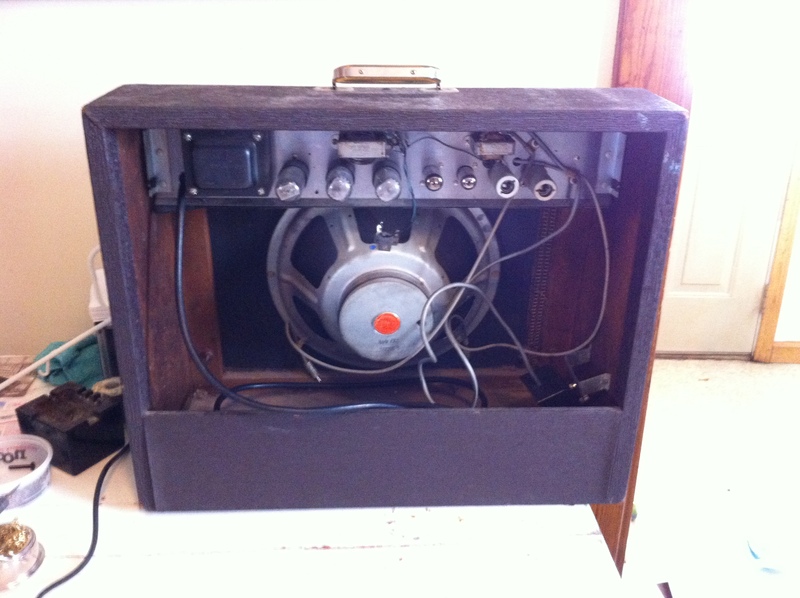 They do — the problem was no reverb, which was traced to an open reverb transformer. 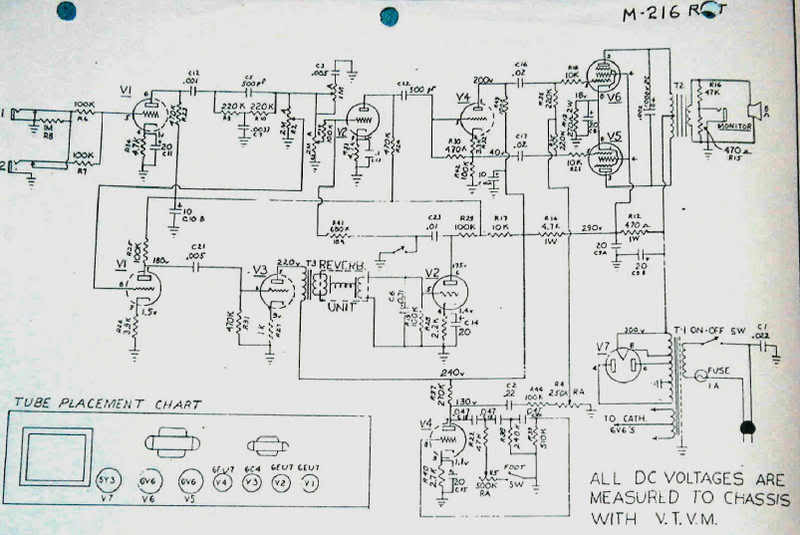 As per usual the Gibson schematic does not match the amp so you have to consult the Maestro M-216 RVT schematic for further knowledge. 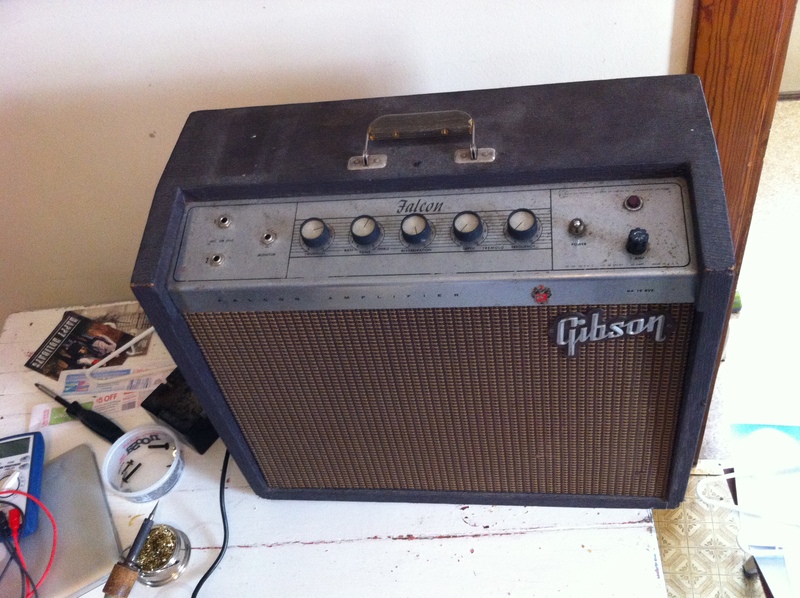 There are a few different versions of this amp. 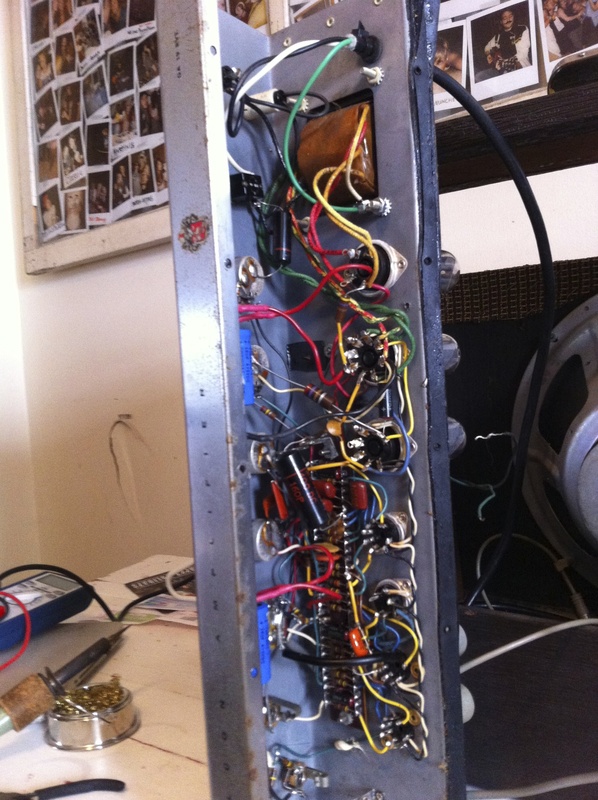 this one has a 6C4 reverb tube and 6EU7 preamp tubes. 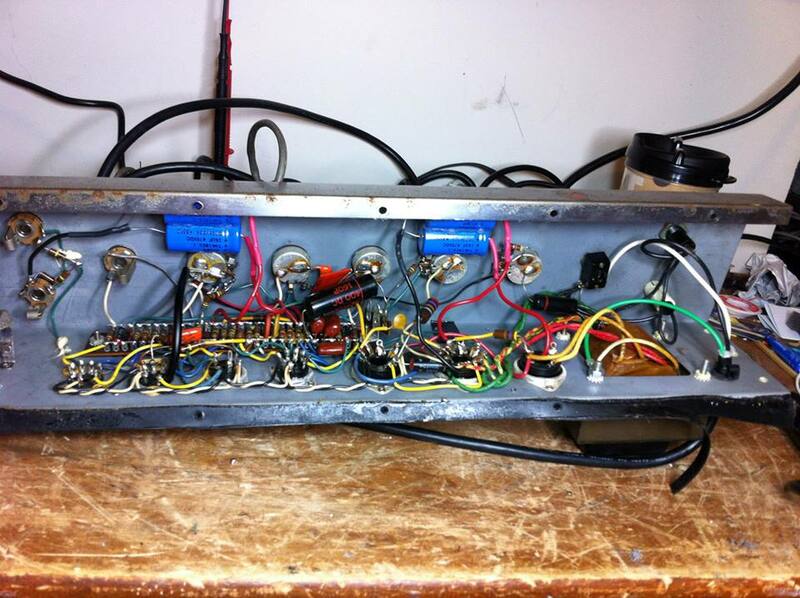 I forgot what pre tubes the other version has but I know it has a 7199 for reverb. In this case V3 plate voltage was 0 rather than the needed ~220V. The reverb tube was lit up because it was getting heater voltage but it was getting no high voltage at the anode to draw electrons with.